The Department of History, International Studies and Diplomacy belongs to the Faculty of arts at Godfrey Okoye University Enugu. Trainee historians can grow through coursework, library research, guided tours of heritage sites, original research into approved themes, free university lectures and word-listing as the technology for competence. History as the mother of and background to all subjects is the eternal house of wisdom. As such, history provides the building blocks to nations. “Historified” citizens cultivate and defend equality, rule of law and social justice. A de-genderized society where history or herstory combine the achievements of men and women. This programme can provide rounded citizens that accept advanced democratic culture. After training, historians will be at home in the world of work where variety, creativity, competence, and education move nations on and up. Candidates must have credit level pass in five subjects, including history/ government, English language, mathematics and any other two arts and social science subjects. In addition to this, an acceptable score at the Joint Matriculation Examination (JME) is required. 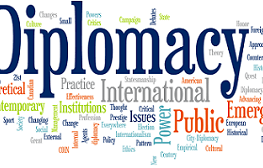 Graduates from the Department of History, International Studies And Diplomacy can be employed as lecturers, political consultants. They can also gain employment at embassies and consular offices.